An Iranian destroyer that crashed into concrete wave breakers at a port in the Caspian Sea 18 days ago eventually sank into water on Sunday, the local media reported. 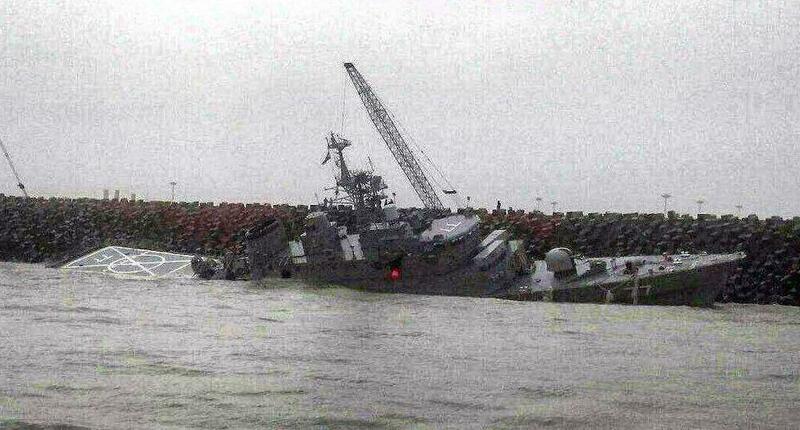 The Iranian navy’s 100-meter long warship, called Damavand, crashed at the harbor town of Bandar Anzali during stormy seas on January 10, which claimed the lives of two crew members. The home-grown Damavand destroyer, equipped with modern radar, electronic and reconnaissance systems, was delivered to the country’s naval forces stationed in Anzali in March 2015.